Vitaly Kovalenko (1947-2014) is no more. The eminent Russian composer had a massive heart attack that turned fatal. In his chequered career the veteran composed more than 560 studies with a number of prizes to his credit. In later years he served as a judge in composing competitions. This was not without controversy. On one occasion his verdict was disputed by a participant who received the least number of points for his studies. He was supported by his federation and also some fellow-composers. However, his claim was not accepted (pdf). It’s hard to know who was right. Be that as it may Kovalenko set himself high standards as a composer. He also collaborated with other chess artists. The following joint effort makes a stunning impression. Here 7. Kd4 is a typo. What you mean is 7.Kd6. 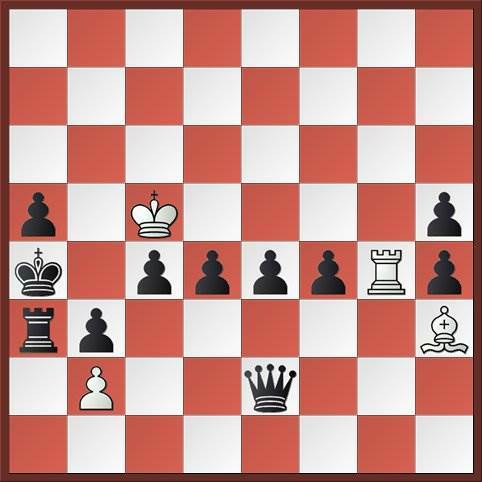 Then Black has one last fling with 7…Qxa2. It’s easy now for everyone. It is possible to find the solution without Fritz. A little imagination, calculation and patience may be necessary. We shall put up the solution once everyone has tried. Glad to see your interest in this endgame study. The preliminary try is not bad. But it does not get enough. There is only draw for White. I have resolved, but only with the computer, then not say it. Without software it is really difficult, perhaps impossible find the solution. 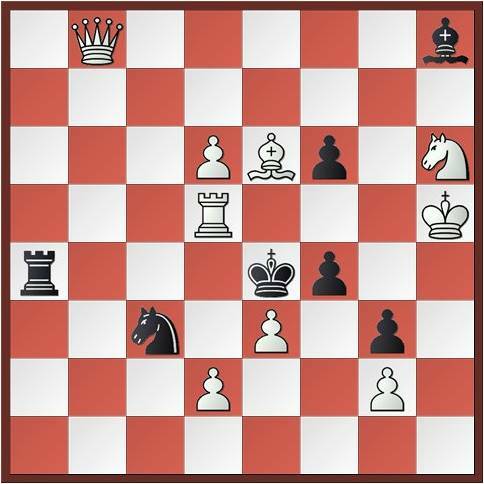 white wins because there is no escape for black king after Knight e6 and black queen must take the rook and pawn in a square is promoted. If Kd7, then, gxh6 and draw!